The Cree, Lakota & Scottish writer discusses her novel Tilly and The Crazy Eights. Monique Gray Smith is a mixed-heritage author of Cree, Lakota and Scottish descent who often writes and speaks about the resilience of Indigenous communities in Canada. 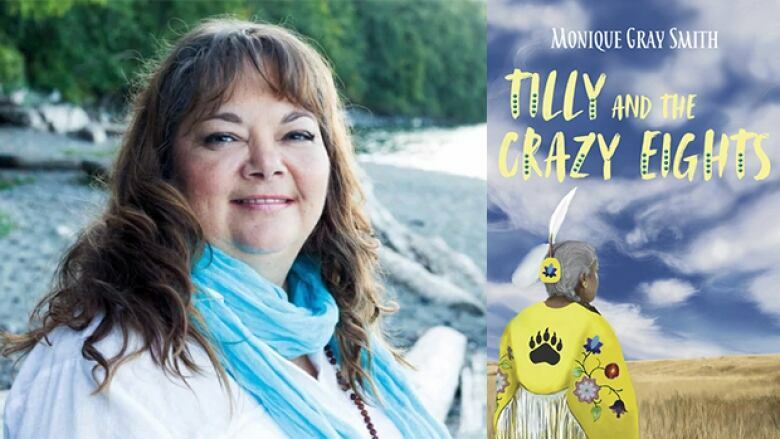 Her latest book is the novel Tilly and the Crazy Eights, which is about an Indigenous woman named Tilly — who we first met in Smith's earlier novel Tilly. In this new story, Tilly agrees to drive eight elders on a life-changing road trip to Albuquerque for the Gathering of Nations Pow Wow. Smith dropped by The Next Chapter to talk about Tilly and the Crazy Eights. "The book starts off with Sarah, one of the characters, watching the film called The Bucket List — a comedy-drama starring Jack Nicholson and Morgan Freeman — with her granddaughter. Sarah is also healing from stomach cancer and as she's watching this movie she begins to reflect on her life and all the things that she's done, but mostly the things that she hasn't done. And she takes that back to her weekly crafting meeting and begins to tell her fellow elders about this movie and the things that she hasn't done." "It's ultimately a story of love and reminds us of the power of the human spirit. These eight Elders and Tilly remind us that love is medicine. I received a grant from the First Peoples' Cultural Council to do the road trip and did it with my best friend Kelly... and when we left on the road trip I had some of the characters in mind because some of the characters come from my first novel." Monique Gray Smith's comments have been edited for length and clarity.